…as long as there are patients who fall victim to preventable harm in healthcare, there are healthcare professionals who also have a story rich in learning material from the other side of the bedrail. Both sides of the patient harm story will need to be embraced by healthcare leadership in order to achieve the delivery of reliable, high-quality, safe care everyone desires. Because the numbers harmed by healthcare have at the very best plateaued, an urgent need to pick up the pace for change remains. Sharing the stories of patients and healthcare professionals on a larger and more strategic scale throughout the industry will allow others to learn vicariously from mistakes as well as successes, building upon the positive momentum found when utilizing storytelling as a medium for change. Once again, our stories can provide the guiding light leading us into a new world for healthcare—where the patient voice is welcomed, and healthcare professionals are allowed to speak their truth. Many times, nothing more needs to be said. A reflective post on the Telluride blog this week from Caitlin Farrell…one of our Telluride Student Scholars who shares the gift of her story with classmates and faculty. Thank you Caitlin! Please share with your healthcare communities. A Day 3 tradition during the Telluride Patient Safety Educational Roundtable & Student/Resident Summer Camps has been for students and faculty to join in a team building trek up the Bear Creek trail in the San Juan mountain range of Colorado. The hike has always played an important part in the week, allowing students and faculty to collectively reflect in a relaxed, awe-inspiring environment on the conversations and concepts around patient centered care, new to some and a career choice for all. 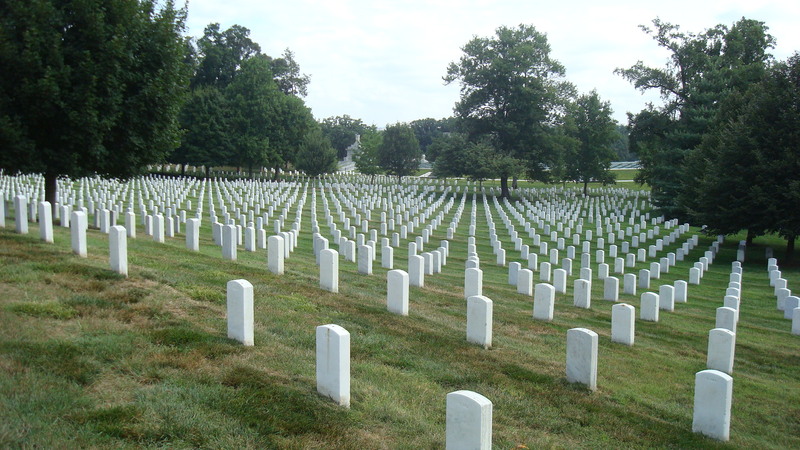 This week, the Telluride experience moved east to Washington DC, and the Bear Creek hike transformed into a crosstown journey from the Georgetown University campus on foot and Metra to the Arlington National Cemetery. While the threat of bears and the physical challenges of altitude and mountain terrain were absent, the group was left to navigate east coast summer drizzle, a big-city subway system and an unfamiliar routine to overcome together. As we made our way across Washington DC, organic conversations between students and faculty grew throughout the largest Telluride gathering in nine years. I was fortunate to get to know a number of students on the walk to and from this national landmark, many of those conversations each deserving a blog post all their own. Like Rose Ngishu for example–a nurse and mother of four from Kenya now in Galveston, TX, and in her third year of medical school. Rose shared how she knew at 7 years old, living in a country where any healthcare was a luxury, that she wanted to become a doctor and change the conditions in her country of origin. A woman, who despite many personal obligations, continues to push stubbornly toward her goal of improving the lives of those less fortunate and become a physician. 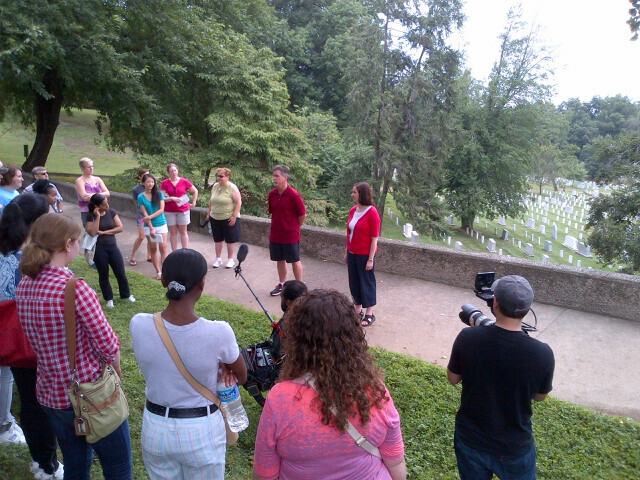 Saturday’s hike culminated on the hill beneath Robert E. Lee’s house with Dave Mayer and Rosemary Gibson centering the group around the fact that it would take less than two years to fill Arlington National Cemetery with the victims of medical harm. 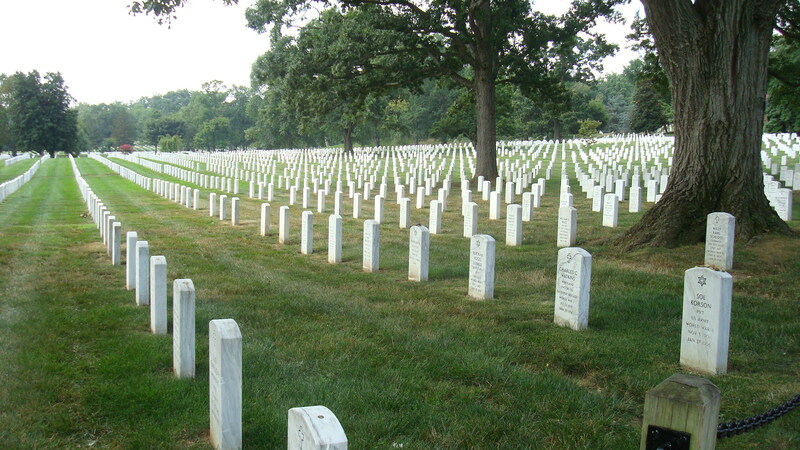 Less than two years to fill a cemetery that holds over 100 years worth of US Military casualties and their family members. Rosemary then encouraged us to break up into groups of 3-4 and remember by name, if possible, patients or family members that we personally knew affected by medical harm. The group then came back together and honored those we had discussed in our smaller groups. A new Telluride tradition began this week–one that connected the head with the heart, patient with provider. Following are a few of the names remembered on Saturday. I can only hope that the efforts of our group, all the Telluride alumni, and healthcare stakeholders working in the best interest of patients, will result in the ability to recall fewer names in the future. Movies that address important issues can ignite strong emotions universal to all of us. Some movies make us angry, some make us laugh–others strike a nerve that motivates us to do better or join a cause. From an educational point of view, emotion generated through film and visual images can create teaching moments unachievable through traditional methodologies. When these moments are reinforced with interactive group discussion, the stories remain in the heart and the knowledge encoded in ways unique to visual and emotionally driven stimuli. Two additional patient safety educational films that do a wonderful job of educating through our hearts and motivating through the emotional response they evoke are: First, Do No Harm® (FDNH) and The Josie King Story. Both films use true stories to motivate audiences and create lasting change so that similar mistakes do not happen again. Based on incidents drawn from real malpractice claims, the First, Do No Harm® series presents the dramatic story of how a healthcare community responds when a healthy pregnancy turns to tragedy as a result of a series of medical failures. Through one expectant mother’s journey, the film shares the spectrum of safety and ethics issues that can arise in a busy healthcare system. 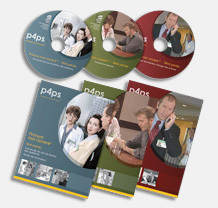 The series consists of three sequential case studies, each approximately 20 minutes in length. The film also includes commentary from leading experts in healthcare and other industries, as well as facilitators’ guides developed by risk management educators that detail scene-by-scene learning objectives and discussion points. The second outstanding patient safety educational film is The Josie King Story. In 2001, Sorrel King, Josie’s mother, addressed the Institute for Healthcare Improvement (IHI) conference. It was the first time Sorrel had spoken publicly about the medical errors that led to Josie’s death. Captured on film, Sorrel’s sharing of Josie’s story and her powerful educational insights have inspired caregivers and hospital administrators to take up the cause of patient safety in their daily work. The film showcases a mother who asks medical professionals to look, listen, and communicate in order to create a culture of patient safety. According to the Josie King Foundation, over 1,200 healthcare institutions around the world use this educational movie as a training tool to emphasize the importance of communication and teamwork in patient safety. 5. Commitment (and action) to change the system to protect others from similar harm. Patients and family members are great teachers and educators. Lessons learned from these stories through the patient’s voice are powerful teaching tools that survive the educational decay commonly seen with traditional teaching methodologies. While these are all tragic stories, there is much to be learned when we as caregivers are willing to hear what our patients tell us and engage in truthful and transparent discussion. As Rosemary told me many years ago, the best teachers find ways to connect the brain to the heart and leave a lasting educational imprint on their students.